We all take our children’s education seriously, but what sets the experience of a Service child aside from their civilian friends? Another posting equals another new school. Service children can attend upwards of five different schools up to the age of eighteen, and children also have to cope with leaving friends behind and making new ones with each move. However, Service children are often more adaptable, independent and flexible than their civilian friends, having grown used to change and the broader view of the world that this has given them. 10 Need a school overseas? 11 I have a child studying for public exams - can I stay in my SFA? The MOD has produced a pack that is available from your local HIVE, CEAS and also online, click here. The new PIP, specifically designed for Service children moving school, provides your child’s new teacher with immediate relevant online information about your child. It is an MOD-created project that informs schools, merges different educational language and current systems and has guidance to assist teachers. AFF has been part of the consultation process from the beginning. Far-flung countries such as Kenya and America have been involved along with schools across the UK and MOD Schools; all have been very supportive. You can help your child by letting your school know as early as possible when you are moving. Pop in and ask if they are aware of PIP. AFF has been informed that all MOD Schools will be using the PIP where possible. For more information, click here. Early Mover Status (EMS) is for families who wish to move up to 12 months early for a unit move as part of rebasing. This could be for educational reasons, for example because you have a child in Year 9 and would like to start them in their new school for the beginning of Year 10 which requires moving several months before the unit. It could also be for families who are joining a unit that is about to move again as part of rebasing, and this would be to avoid moving twice in quick succession. If you would like to find out more about this, the information is in JSP 752 chapter 7 or you can speak to the MOD Children’s Education Advisory Service (CEAS). It is very important that, if you claim CEA for any of your children, you remain within the eligibility rules for accompanied service, so check this out first before making any plans. Education is devolved and England, NI, Scotland and Wales all have slightly different education systems, delivered in slightly different ways. School years may be categorised differently and depending on when your child’s birthday is, you may find that they start at a different time. There are also different public examinations. Moving from Scotland to England or from England to Northern Ireland? There is specific education information that you need to know. It’s important to point out that some things are the same. All schools are inspected, all children have a legal right to a school place and children work towards a public examination at the end of school. If your child is born between 1 September and 29 February then in all areas of the UK and MOD Schools overseas, they will be in the same year group but it may be numbered differently. In Scotland, from the 1 March until 31 August, your child will be in a different school year to their peers in England and Wales. In Northern Ireland, your child remains in the same school year until 30 June, and children with birthdays from 1st July until 31st August will go into a different year group to England and Wales. In Scotland, Children usually return to school in the third week of August. Northern Ireland, England and Wales all generally start in September. In Scotland and NI, children break up at the end of the year in June whereas those in the other two areas of the UK stay on until the third week of July. England, Wales and NI have GCSEs at the end of Year 11 (16 years), AS levels in Year 12 (17 years) and A Levels in Year 13 (18 years). Scotland has Standard Grades, Highers and Advanced Highers. The Welsh Baccalaureate combines personal development skills with existing qualifications like A Levels, NVQs and GCSEs to make one wider award. In England it is now compulsory for young people to stay in some form of education or training until at least their 18th birthday. In Northern Ireland, Wales and Scotland, children can leave school at the end of Year 11, as young as 15 depending on when their birthday falls. There is opportunity for Further Education, training or an apprenticeship post 16 UK wide. The Service Pupil Premium is available in England and Northern Ireland. It is for different amounts and the funding source is different but it is for the same purpose. In North Wales, it’s possible to apply for funding from the MOD for independent day school fees in order that your children can have lessons in English. This is unique to this area of the UK. University courses vary all over the UK, but in certain circumstances, it is possible to apply for free university funding. There are no Grammar schools in Scotland or Wales. The Admissions Authorities are called Education and Library Boards in Northern Ireland. If you’ve been affected by this, and you would like to share your experience, please email ec@aff.org.uk. We are actively monitoring families’ experiences, and will highlight the issues at relevant meetings and conferences. Click here for a table showing comparative school years for children within the different state education systems of the Devolved Governments and also state boarding school. Remember that often the curriculum is different as well as the number on the classroom door, and so it is not easy to compare like with like. Education in Scotland – An Introductory Guide, has been produced by the MOD Directorate of Children and Young People (DCYP) with the full backing of the Scottish Government. It is a comprehensive guide to all phases of education, with handy information and advice for families either living in Scotland or moving to Scotland. Moving to Wales? The official Supporting Service Children in Education in Wales – SSCE Cymru – Guidance for Schools and Parents’ has been created to help parents who are moving to wales, and schools working with Service children. “The guidance seeks to highlight the simple things that can pose big challenges for these children such as missing a parent who is away in a dangerous part of the world, settling into yet another new school or missing parts of their learning because of different programmes of study in different countries. AFF is working with SSCE Cymru to help raise its profile and reach in Wales. Army families tell us that they have been fined for taking their children out of school in term time for the purposes of reuniting the family. AFF has responded to your comments and issues and has created a printable letter for you to attach to your absence request. Whilst understanding that the head teacher must make the decision on this, we strongly believe their decision should be fully informed. If your soldier has R&R or POTL coming up then apply in advance for the head teacher to consider the circumstances i.e. that leave isn’t flexible and cannot necessarily be taken in the normal school holidays. Several things will be taken into consideration, including the number of days your child has missed so far that year and exams or tests. Authorising absence is the school’s decision, not a parental right. Local Authorities (LAs) can issue penalty notices and fines; look on your LA website for more details. Does your school understand what R&R and POTL are? 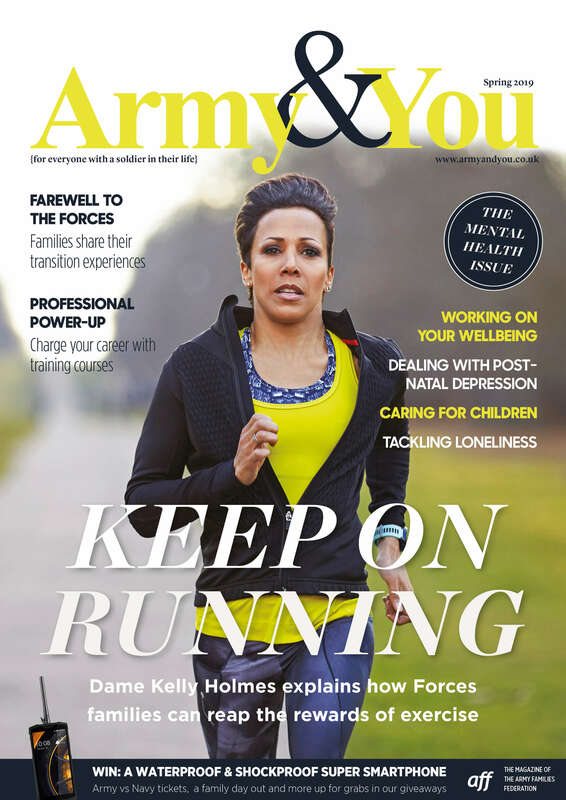 Does your school need help in understanding Army family life? Click here for an AFF letter to print off and attach to your leave request, which explains some of the complexities of living with a solider. The MOD has also produced a letter for head teachers, regarding authorised absence, that you may like to take into school. Please click here to download a printable version. With an increasing demand on school places, you may find that your children’s school place may not be in the nearest school; transport may be an issue. Here is an outline of the basics regarding free school transport entitlement from the Department for Education (DfE) that covers England and Wales. Scotland’s regulations are similar, and in Northern Ireland (NI), the ages are divided at the end of primary school. The general walking distance measurement is two miles for children aged under eight, and three miles for children aged eight and over (apart from NI). This distance is not the shortest distance travelled by road but the shortest route along which a child, accompanied as necessary, may walk with reasonable safety and may include footpaths and bridleways; this could explain why you may have been quoted different distances by the Local Authority’s (LAs) admissions team for the purposes of catchment area, and the LA school transport team. The regulations also make it very clear that children should be able to reach school able to benefit from the school day without strains or stresses from the journey and in reasonable safety and comfort. If you chose the nearest school and you have been allocated a school further away, you may be eligible for free transport for your child. Check your LA website for more details and if you have an issue with the LA’s decision, you should contact the LA school transport team and they will assess each case individually. AFF believes that all school aged children should have easy access to school. We have heard from parents unhappy about their very young children travelling to school in a taxi on their own, and about the time it takes a child, particularly a young one, to walk over two miles. AFF recognises that as parents, we have the responsibility to get our children to school. When moving to a new area, this should be one of the top considerations when applying for school places, however sometimes we may find that our children are given places in schools some distance away. AFF has compiled some FAQs asked by Army families regarding access to school transport, both free and otherwise. Our downloadable document outlines the regulations, as well as answering questions that are specific to Army families. Thank you to Surrey County Council who have helped us with this list. To download a copy of the FAQs, click here. MOD Schools is part of the MOD Directorate of Children and Young People (DCYP). MOD Schools have schools around the world and after draw down in Germany, there will be 13 remaining schools. They follow the English curriculum where possible; however, they are not in all overseas posting areas. In Isolated Detachments (ISODETS) and Extra Command Areas where there are no MOD Schools, parents should be aware that the type and standard of children’s education in those locations may vary between countries, and sometimes between different parts the same country. Service parents accompanied by their child when posted to such areas may decide to enrol them into local state schools (where children are taught in English), into a state school where the native language is spoken and where a child will be supported to learn that language, or at an international school. Parents whose children are due to undertake important examinations such as GCSEs, when considering whether to remove their children from school to accompany them to a posting overseas, are advised to do so only if they have access to a UK curriculum so that their education will not be disrupted in the two years leading to those examinations. Please contact the MOD Children’s Education Advisory Service (CEAS) for more information. Service parents who are due to move on assignment when their children are in their A Level years, or undertaking or preparing for GCSE or AS exams in local state schools, may be able to retain the Service Families Accommodation (SFA) which they currently occupy, to allow the child to complete their exams. If you have a child in school year 10 or 11, or year 12 or 13, then this may apply to you. Contact CEAS and request information on an educational impact statement. This can then be sent to DIO to support your application to retain your quarter. AFF is represented on the National Executive Committee of the Service Children in State Schools support network. This board is made up of representatives of head teachers, MOD, family feds and local authorities. We discuss the best ways to support Service children in schools and host conferences around the country to share knowledge and information that will help schools achieve this. They have a handbook, which is available here. Is your school a member of SCISS? Why not pop in and find out. Have you just moved and found there to be no suitable school places? Is your child on a waiting list and you are reluctant to start them in a different school temporarily? Have you just moved somewhere for a short time, or are you about to move just after the start of school? If the answer to any of these questions is yes, then the option of home schooling may be for you. Education is compulsory for children from 5 to 18 years old in England. School is one of the options. Section 7 of the Education Act 1996 describes it as “efficient, full-time education suitable to the child’s age, ability, aptitude and any special educational need they may have either by regular attendance at school or otherwise.” This is the case in England and Wales. Northern Ireland and Scotland are slightly different. You don’t need to let anyone know or ask permission if your child has not been to school before, only if you are taking your child out of school or de-registering them, in which case you should inform the school and the council. If you’re removing them from a special school, or if they have a school attendance order, you must ask permission from the council. Most councils would prefer to be told if you move into their area and may want to make an informal enquiry on the education that your child receives. You do not have to keep to the same hours as schools and you do not have to follow the national curriculum. If your change your mind or your circumstances change, your local Authority will be willing to offer a school place. Home Education Consultants provided by the Local Authority, websites, blogs, books and local groups can all help. Think about this in advance and think to the future. Do you want to do this forever or just for a short time either the length of posting or until a certain age? Will you be able to cope with the time and input that this will require? And finally, what about your child -what would they prefer? The Directorate Children and Young People (DCYP) has been focussing on the effective transfer of Service pupil data. Your Service child will now be ‘flagged’ as part of the process of transferring their records when joining a new school. Are you interested in being involved in the policies, recruitment and budgets at your local school? Do you have a bit of time to spare to volunteer for this vital role? There are school governor training courses that you can attend – some are one day courses available at the weekend. As a governor you will be involved with budgets, targets, policies and recruiting. Posts vary in length from school to school. To find out more about becoming a parent governor, click here.